The design of the American Buffalo gold bullion coin is a modified version of James Earle Fraser's design for the Indian Head nickel (Type 1), issued in early 1913. After a raised mound of dirt below the animal on the reverse was reduced, the Type 2 variation continued to be minted for the rest of 1913 and every year until 1938, except for 1922, 1932, and 1933 when no nickels were struck. Generally, Fraser's Indian Head nickel design is regarded as among the best designs of any U.S. coins. The same design also was used on the 2001 Smithsonian commemorative coin. The obverse (front) of the coin depicts a Native American, whom Fraser said he created as a mixture of the features of three chiefs from different American Indian tribes, Big Tree, Iron Tail, and Two Moons, who posed as models for him to sketch. The obverse also shows the motto 'LIBERTY' on the top right, the year of mintage on the bottom left, and below that the letter F for Fraser. 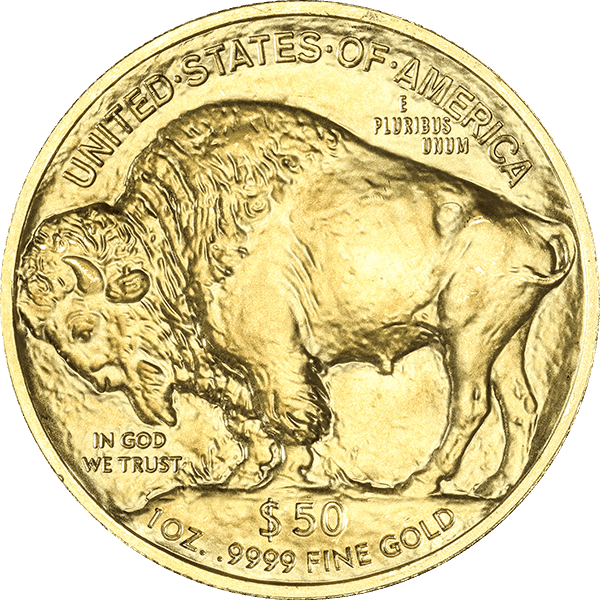 The American Buffalo gold bullion coin further has in common with the nickel the motto E PLURIBUS UNUM above the buffalo's lower back and the device UNITED·STATES·OF·AMERICA along the top. 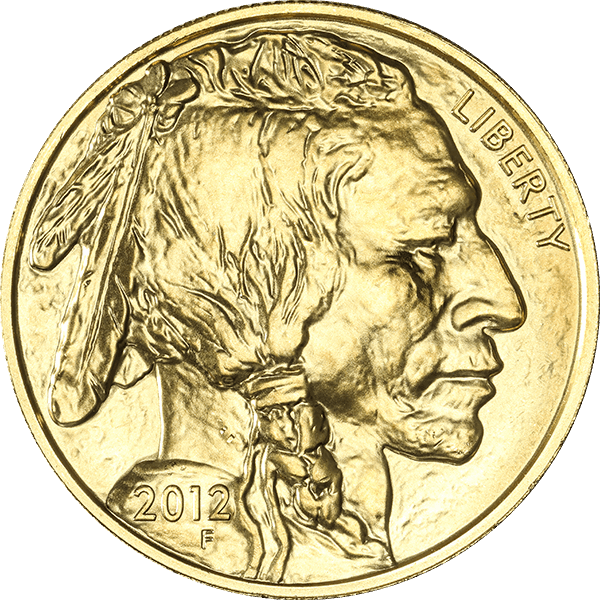 Differences that can be noted between the nickel and the fifty dollar piece are, on the gold American Buffalo coin the mound area of the reverse of the Indian Head nickel bearing the words, FIVE CENTS, has been changed to read $50 1 OZ. .9999 FINE GOLD. Also, the motto, IN GOD WE TRUST, appearing on all U.S. gold coins since 1908, can be seen on the reverse of the newer coin to the left of, and beneath, the buffalo's head.